Kulfi is asked by kids what has she done that she is sent to remand home, kulfi says there is some confusion i have done nothing,my baba would never send me here,i have to leave. Kids say havent you heard about the ghost,you can’t leave this place let us show you who the ghost is,and is very scary. Sikander meets police and says kulfi is somewhere in this arra. Kids taje kulfi near a dog house,kulfi sees the dog gets scared and rushes to ama and says i have to tell you something very important,ama asks did any kid break any rules,kulfi says no and tells about the confusion. Kulfi says im a good girl, i never lie,i thought im going boarding school but dont know how i came here, i need to call home, ama says if i didnt know the truth about you i would believe what you are saying, and no one is going to call anywhere,kulfi keeps requesting and on ama not responding she tries to make call, ama stops her,kulfi sees ama without make up and gets scared,ama scolds kulfi,warns her asks her to go to her room and closes the room,kulfi says baba you must be thinking im at some boarding school but im here. Sikander with police searches all the orphanages and boarding schools near by,police infroms Sikander theres a remand home near by, Sikander remembers promising kulfi to find her any how if she ever gets lost and says let’s go look for her their, inspector says don’t say we are there looking for your daughter that would alert them if she is forcefully kept there, Sikander says okay. sikander says lovely if you have sent my kulfi at such place i swear I would send you to worst. Kulfi rushes to kid and asks where’s the tall guy,he says rajan took him away he will be leaving in evening,kulfi says im sorry i had no idea, ama had lied to me but now i know the truth,kids decide to abandon kulfi as she is culprit for sending 664 away,kulfi sad walking around,sees rajan assigning 664 job of cleaning all the fans before Sikander enters remand home. Kulfi sees 664 and remembers his sad story and feels bad, she looks at fan and gets an idea. Rajan infroms Ama some rich man accompanied with police is here,says wants to see you and the home and will donate too,ama says okay i will be there. kulfi puts dust and garbage on fan,ama in her,kulfi puts in the fan,ama gets angry and asks rajan who did it,he points at 664, ama says this is how you want to take revenge,you are going no where from here, you will first clean this mess and then will be punished, kulfi sneezes,ama says okay so you helped him,you both will be punished. Ama meets sikander, Sikander says you are doing a great job,i would like to donate and meet kids too,ama says sure and take him to assembly hall. 664 thanks kulfi and asks why did she take such big risk even she is caught now.kulfi says i know the pain of being away from loved one,i miss my baba a lot i want to get back to him, assembly bell rings,all kids gather,ama signs guard to take kulfi and 664 away, he does so.sikander steps in,he looks around and asks is this your full strength,ama says yes,these kids are away from their family i look after them with atmost care. 664 infrom kulfi that they will be locked in separate dark rooms and she shouldn’t be scared abd if she does she need not shout because that wont help,try other ways to keep herself calm. Sikander reads a sentence on board reading 186 no one loves you here, Sikander asks for which kid is this,ama says these are kids you see they find ways to play pranks. pre cap: sikander passing by room kulfi is locked asks who is in here please open I would like to see. 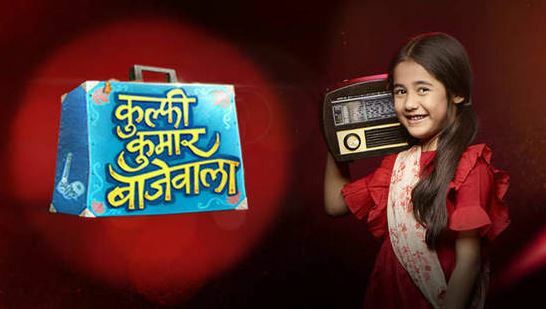 The post Kulfi Kumar Bajewala 5th March 2019 Written Episode Update Sikander in remand home. appeared first on Telly Updates.